20th September 2011 – Allotment Plot 326 – Harvest: Oriental Greens Tai Sai = 2oz = 50g; 1 x Courgette Patriot F1 = 12oz = 350g; 1 x Squash Green Hokkaido = 6oz = 170g; 1 x Squash Green Hokkaido = 13oz = 370g; 1 x Squash Green Hokkaido = 1lb 2oz = 510g; 1 x Squash = 1 x Squash Red (Uchiki) Kuri = 10.5oz = 300g; 1 x Squash Red (Uchiki) Kuri = 10oz = 290g; a mix of Beans (Climbing and Runner) = 7.5oz = 210g. 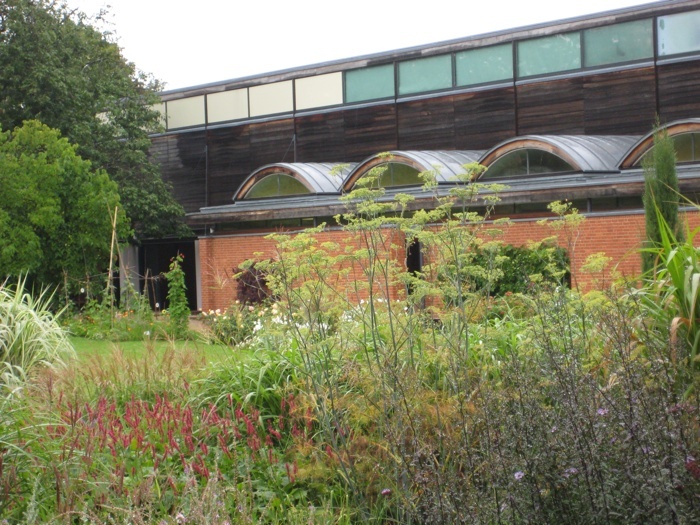 22nd September 2011 – Allotment Plot at MERL – The sound of a lawn mower machine erupted close to the Plot. The driver drove the small tractor like object around in circles. The grass did not look like it needed to be cut, but the driver was programmed to automatically follow instructions from a higher level even if this meant abandoning an initiative to abort the cut grass operation if the grass was deemed not long enough to warrant cutting. On the radio* that morning there had been a conversation about the size of the ice sheet at Greenland as represented in a new atlas (The Times Atlas). This discourse it seemed had been happening in the media for several days. The concern was whether or not the ice sheet was depicted accurately or inaccurately in the new edition of the atlas. It was felt that demise of the ice was over exaggerated, but at the same time the depletion of ice and snow was a cause for alarm, an ecological change and evidence of the Hyperobject, global warming. Whether or not the atlas is accurate or not, Greenland is becoming more green, and less white. 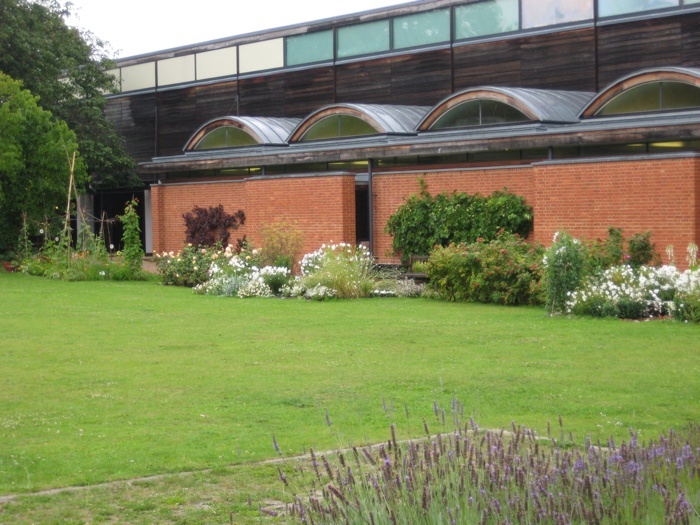 The obsession with the grass lawn as an object that needs to be trimmed on a regular basis contributes to the hyperobject, (along with a high proportion of other human activities), which results in the depletion of the ice and snow on Greenland and the rise in sea levels. Ella Montt shifted her gaze away from the mower and searched the garden for any signs of the Chaffinch or Greenfinch birds, but there was none immediately to be found. These two taxonomic groupings of birds are in serious decline due to an outbreak of trichomonosis parasite in birds since 2005**. It would be safer for these birds to feed from seeds growing in the garden, rather than from a communal bird feeder, so Ella Montt prepared to leave many of the Companion Planting seeds as part of the Plot and a source of food for the birds as “naturally” occurring bird food as opposed to bird feed that had been placed in a feeder for the birds, where parasites can multiply and spread the disease. 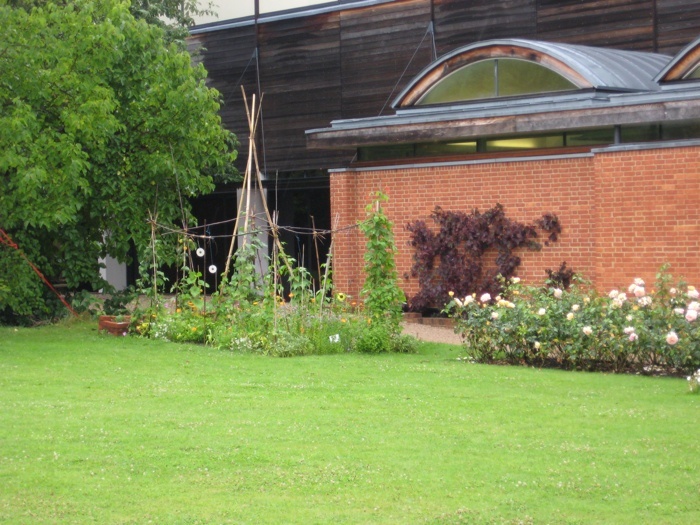 When the mower machine was gone Ella Montt found a dead bee lying on the grass next to the Plot. The time of this particular bee’s death was unknown and the reason of death also unknown. The bee was not squashed or mangled, but it was dead. 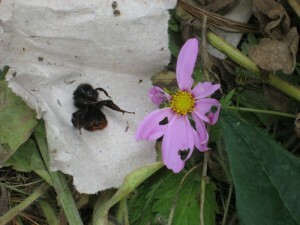 Ella Montt removed the bee corpse to the Brick Composter to prepare for the bee’s body’s decomposition. The Carrot crop was harvested. The crop was a dismal failure. 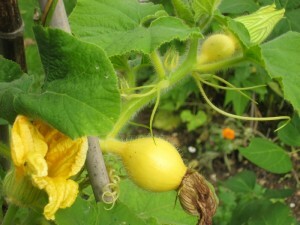 Another female flower was appearing on the healthy Squash Plant. Harvest: Companion Planting seeds, Chamomile, Calendula Pot Marigold, Cosmos Cosmea and Sunflower = 1oz = 20g; Tomatoes = 1lb 4oz = 560g; Rainbow Chard = 2oz = 50g; Carrots = 3oz 90g; Beans (Runner) Enorma = 11oz = 320g; Beans (French Climbing) Blauhide = 2oz = 50g; Neckarqueen and Blue Lake 6oz = 175g. 29th September 2011 – Allotment Plot at MERL – The day after the Cultivation Field Postgraduate Symposium, Ella Montt sat resting in the shade of the Mulberry Tree. The weather had become warm again and was about to reach record breaking temperatures in the UK for the time of year. The sunshine and warmth was without a doubt universally beautiful to human beings (even Kant agreed). The plants that had begun to decline and fade with the Autumnal downward spiral towards death also appreciated the warm weather and started a burst of new vigor and unexpected growth. 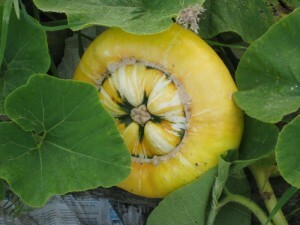 The Sun was prolonging the growing season. 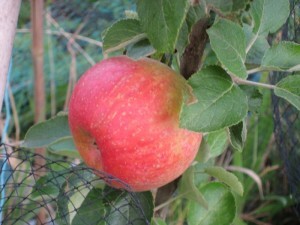 The danger of frost was temporarily halted, but will resume again later. It seemed a long time since the warm weather in April and summer had been rather cold. There appeared to be two Squashes growing on the most healthy Squash plant, and a fourth female flower developing, but the plant growth would need to accelerate in order to reach fruition (the first female flower did not bear fruit). Ella Montt was gazing in to her Crystal Ball and although the reading was hazy, she had a strong sense that there will be early snow in November, but this could be just residue of a memory left in the Crystal Ball from last year. Harvesting was about to commence. The Barlotta Di Fuoco Beans were left to mature in to more substantial Beans. 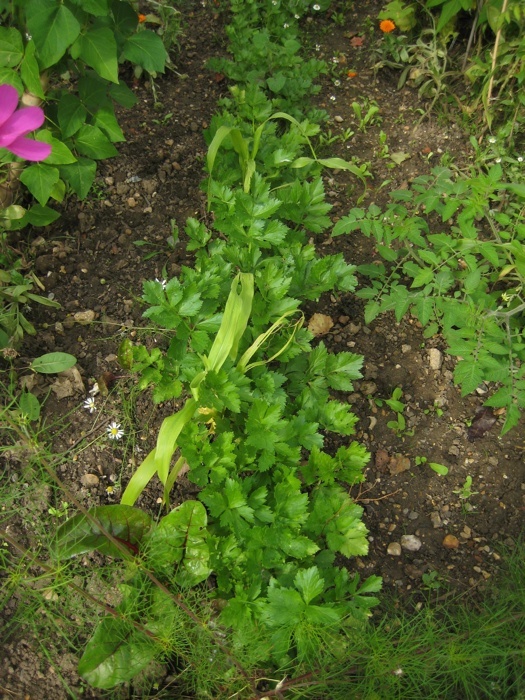 The Celery was also left to continue its growth. 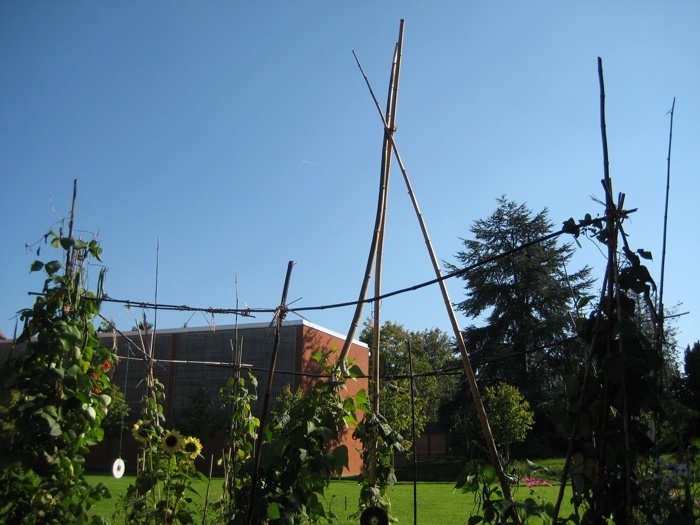 There were some unexpected happenings on the Plot, because of the warmth of the Sun that was allowing the plant growth regeneration. A Sunflower plant was flowering prolifically with multiple blooms. Harvest: Companion Planting Seeds, self-seeded Nigella, Calendula Pot Marigold, Cosmos Cosmea = 1oz = 20g; Tomatoes = 6oz = 170g; Beans (Runner) Enorma = 1lb 2.5oz = 525g; Beans (French Climbing) Blauhide 1.5oz = 45g, Neckarqueen = 2oz = 60g. 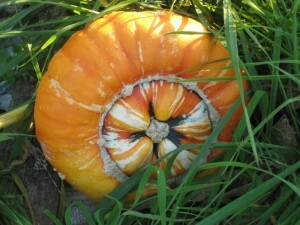 30th September 2011 – Allotment Plot 326 – The warm weather was continuing. Harvest: Perpetual Spinach = 4.5oz = 135g; Kale Red Russian Curled = 1.5oz = 45g; Oriental Greens Tai Sai = 4oz = 110g; Chard = 4.5oz = 130g; Beans (Runner) Enorma = 10oz = 280g; Beans (French Climbing) Neckarqueen = 9oz = 250g, Blauhide = 1oz = 25g; Beans (French Dwarf) Royalty = 1oz = 25g; 1 x Courgette Patriot F1 = 12oz = 340g; 1 x Squash Blue Kuri = 1lb 13oz = 820g; 1 x Squash Green Hokkaido = 1lb 12oz = 790g. 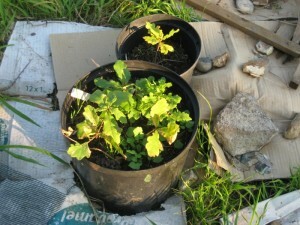 The Oak Tree seedlings continued to grow in pots. 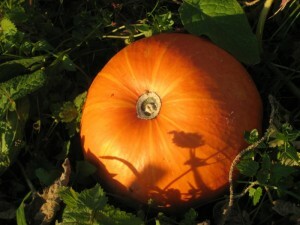 2nd October 2011 – Allotment Plot 326 – The warm weather still continued. Harvest: 1 x Pumpkin Cinderella = 5lb 9.5oz = 2.55Kg; 1 x Squash Turks Turban = 5lb 15oz = 2.7Kg; 1 x Squash Blue Kuri = 2lb 7oz = 1.11Kg; 1 x Courgette Patriot F1 = 4oz = 100g; 1 x Cucumber Tanja = 11oz = 310g. 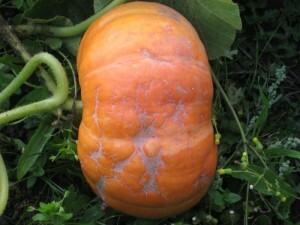 This entry was posted in Allotments, Harvest, News, Object and tagged Atlas, Cultivation Field, Dead Bee, Global Warming, Greenland, Lawn, Oak Tree, Plant Regeneration on October 3, 2011 by katecorder. 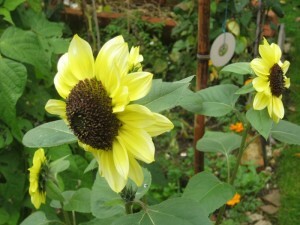 18th August 2011 – Allotment Plot at MERL – Torrential rain delayed and limited Plot interaction. Ella Montt assessed the cultivation field considering the Plot, and then searched in her bag for packets of seeds. Ella Montt broadcasted seeds on to the soil in the place that had been emptied of Potatoes the week before. 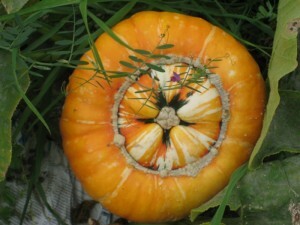 These seeds were Rainbow Chard and Wild Rocket. No Potatoes could be removed that day, because the tools were locked in the Shed and there was no access to the key. The Plot was saturated with water. Harvest: a mix of Herbs (to be dried) 2.5oz = 70g; Bean (French Climbing) Barlotta Di Fuoco = 2.50z = 70g, Blauhide = 5oz = 140g, Neckarqueen and Blue Lake = 2oz = 30g. 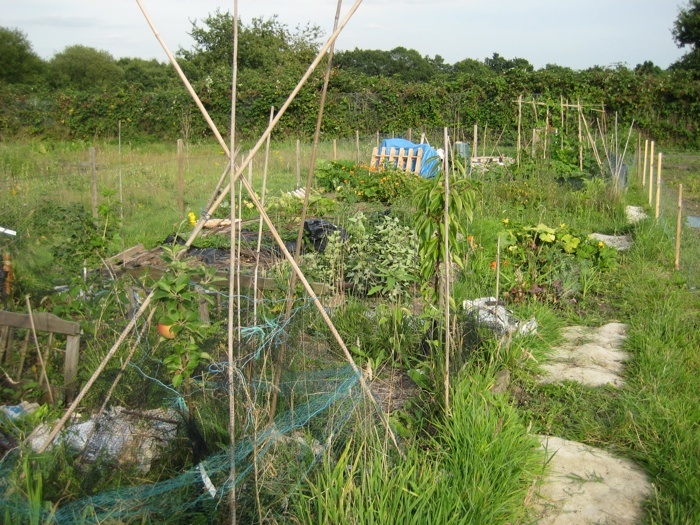 22nd August 2011 – Allotment Plot 326, the fence suddenly surrounded the Plot with the collaborative assistance of R&P. A second gate was made and installed. Rabbits will now need to use stealth mode to approach the growing vegetation, hungry birds on the other hand are free to come and go, but not particularly welcome if they destroy vegetables. 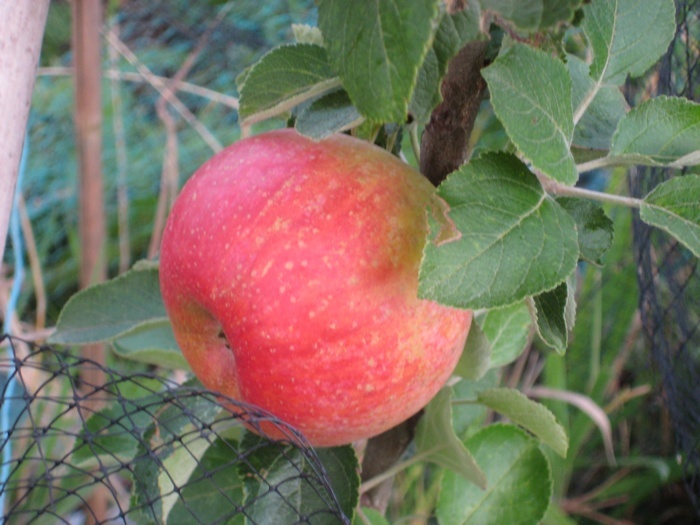 The original apple tree received an extreme pruning. Harvest: Beetroot Bolivar = 1lb 15oz = 880g; a mix of beans = 5oz = 140g, Perpetual Spinach and Chard Mix = 4oz = 98g; Potatoes Charlotte = 4lb 6oz = 2Kg; 4 x Courgette Patriot F1 = 4lb 6oz = 2Kg; Tomato Gardeners’ Delight = 4oz = 100g. 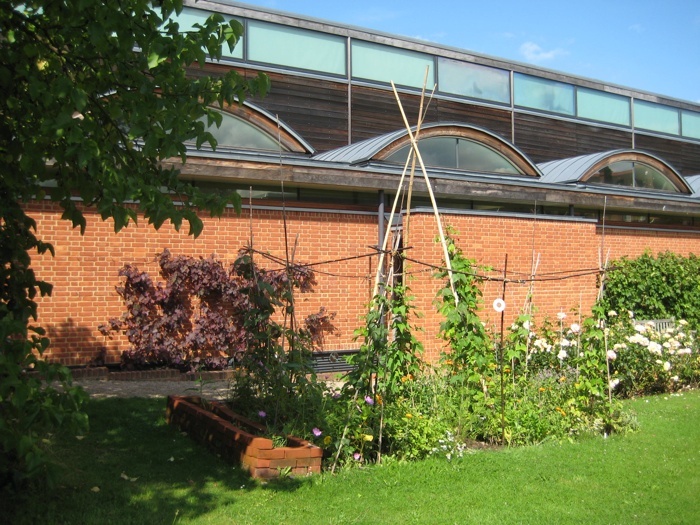 25th August 2011 – Allotment Plot at MERL – You (the Reader) may not be aware of the fact that this particular year, 2011, has up until now been most erratic and strange for growing vegetables. It was very dry and warm from March thru April, then there was frost and rain. More recently the nights have been very cold for the time of year. 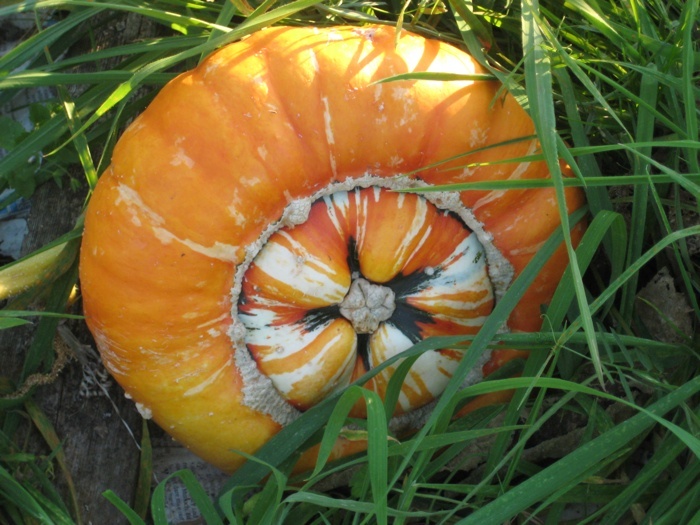 Some growers proclaimed much of the Garlic although successfully harvested had since rotted (an amount, but not all of Ella Montt’s Garlic remained unblemished, an unfortunate amount had been composted). Some growers proclaimed their Onions had rotted (most of Ella Montt’s Onions were unblemished). Some seeds just did not grow. Blight is in the process of destroying the Tomatoes at Plot 326, but so far is not affecting the Tomatoes at Allotment Plot at MERL. Blight is not affecting the Potatoes at either Plot. The Quality of the Potatoes is excellent. Ella Montt was striving for vegetable sustainability, as part of what brook & black call practical planting practice, which Ella Montt includes in the expanded Cultivation Field methodology. Harvest: Potato Eve Balfour = 5lb 9oz = 2.53 Kg; Beans (Runner) Enorma 9oz = 240g; Beans (French Climbing) Blauhide = 6oz = 170g, Barlotta = 5oz = 130g, Neckarqueen and Blue Lake = 2oz = 60g, (the last two Bean plant harvest rates seem particularly low at both MERL and 326, where as in other parts of the country the harvest rate was high, the reason for this is unknown, but can be credited to the affects of the weather and climate conditions). There has been an extraordinary number of cold nights this summer, where the temperature has dropped below 10C. 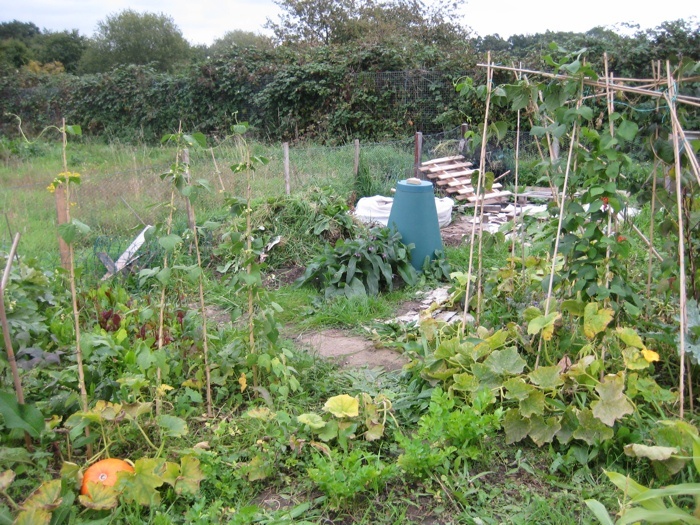 28th August 2011 – Allotment Plot 326 – Most of the Tomatoes were harvested green, because of the rapid deterioration of the plants through Blight. Unfortunately the crop failure could not be stopped. 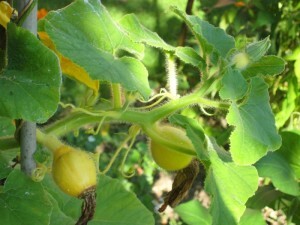 A few days later the Tomatoes were composted because they were affected with Blight. The Plants will be burnt. What a waste, but external forces could not be stopped. Harvest: Tomato, mix of Gardeners’ Delight, Koralik, Brandy Wine, Marmande and Chadwick = 6lb 14.5oz = 3.11Kg; 1 x Apple Cevaal = 5oz = 140g; 1 x Pumpkin Cinderella = 3lb 2oz = 1.41Kg; 1 x Courgette Patriot F1 = 70z = 190g, 1 x Beetroot Bolivar 7.5oz = 200g; Kale Red Russian Curled = 3oz = 90g; Beans (French Climbing) Blauhide = 3oz = 80g, Neckarqueen and Blue Lake = 4oz = 100g; Beans (Runner) Enorma = 7oz = 190g; Potatoes Charlotte and Sante = 22lb 9.5oz = 10.26Kg. This entry was posted in Allotments, Blight, Compost, Crop Failure, Fence, Harvest and tagged Allotments, Blight, Cultivation Field, Fence, Harvest, Practical Planting Practice, Weather on September 2, 2011 by katecorder. The premise for this Symposium and accompanying Exhibition is that cultivation is leading to new art practices deserving of critical inquiry and articulation. 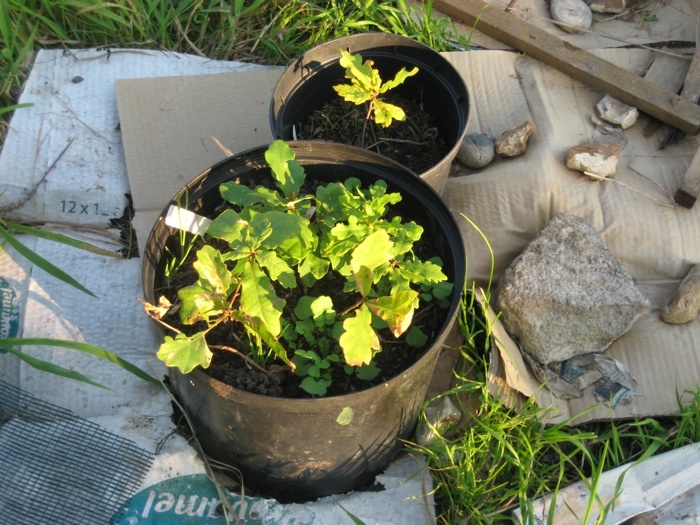 Whether in the garden or allotment, the soup kitchen or the road, on wasteland or the tower block, or wherever there are cracks in the system, cultivation provokes questions about human being’s relation to and encounter with the earth and its growth systems and operations. The purpose of this Symposium and Exhibition is to encourage discursive exchange and productive encounter between art practitioners and researchers within the cultivation field. Artists and research students are invited to submit 250 word abstracts for the Symposium and/or the Exhibition, accompanied by a short biography or CV. We are interested in proposals for paper presentations, performance (including culinary), film, intervention, sound, installation, or text works, that explore plant-based material, land use, growth, ecosystems, economy, taxonomy, environment, power and chaos in the field of cultivation. 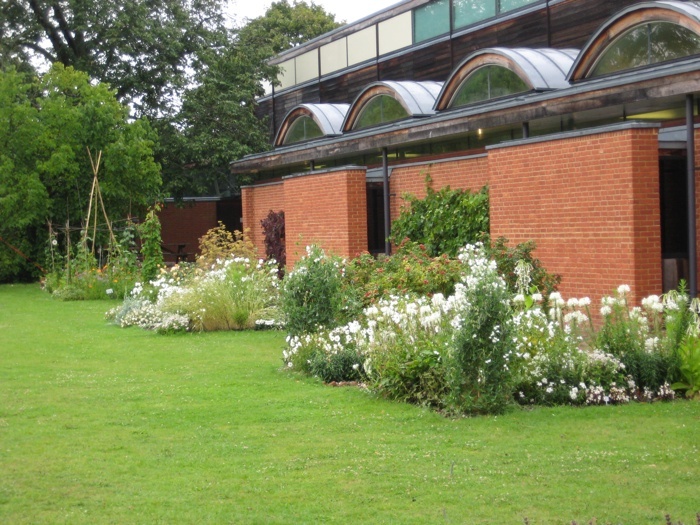 Performances can be arranged in open-air locations on the campus. Individual presentations will be restricted to 20 minutes duration. Deadline for submission is: 29 July 2011 at 17.00. Please include a S.A.E with correct postage if you wish material to be returned to you. Email submissions should be no more than 5MB, jpg, doc, docx, or pdf format, or with a link to the web address where work is hosted. Please include all technical requirements in your proposal. The deadline for registration is: 23 September 2011. To register for the Symposium please fill in the online form here. Artist-made plant-based lunch and refreshments will be available. This entry was posted in Aesthetic, Allotments, Artwork, Event, Exhibition, News, Performance, Social, Symposium and tagged Aesthetic, Art, Cultivation Field, Exhibition, Postgraduate Symposium on July 4, 2011 by katecorder.